Please add the feature where we could change the icon of the projects and add more icons like notebooks. There is another option which is to add emoji characters in the project names. It is working well. That’s cool! I’m totally going to try that. Cool! I tried it also. I will. But I am still hoping that the icons could be modified. 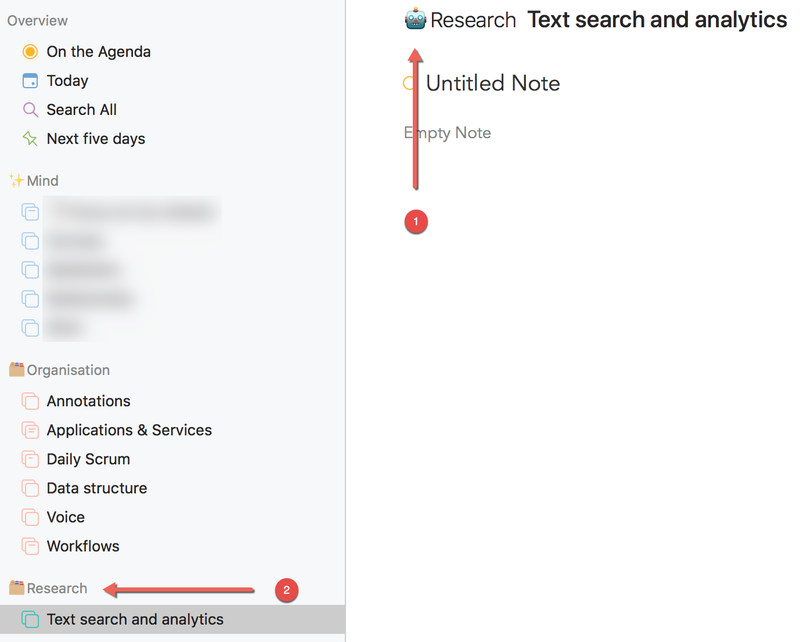 I just want to see one icon on the sidebar per project. In the absence of icons (+1), I’ve been adding emojis. It works, but there’s something strange. Often the emoji doesn’t get added to the name. It’s something to do with where and when one clicks in the project name. Perhaps because doubling clicking the emoji doesn’t make it appear immediately in the project name. I tried to put the emoji on the project name and it works just fine. Sometimes there are choices to what colour to apply so maybe that affects it. I don’t know. I am running into another issue. 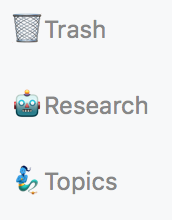 Changing a emoji in a category is not correctly reflected on the left panel. Above, (1) is correct, (2) is not. Workaround: restart Agenda for emojis to be shown properly. I also had this issue both for project names and categories. Another issue: alphabetical order is lost when emojis are used in categories. @flo I think you meant categories, correct? The items you are editing are one level above the projects I think. @kaaeronpaul @drewmccormack One thing to think about for project icons is that if they are customized it seems like you would lose the detail of the icon states. 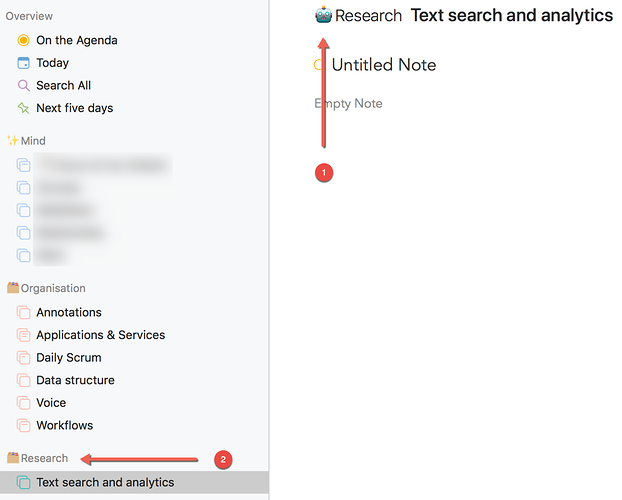 Currently the project icon changes to indicate how many notes are within that project by growing or shrinking the size of the “text rows” within the icon. That feature would probably be lost on custom icons. Maybe just to have an additional option for those who want to change the icon. For projects, the icon’s status really helpful. But, I also use Agenda for other purposes (e.g. notes). 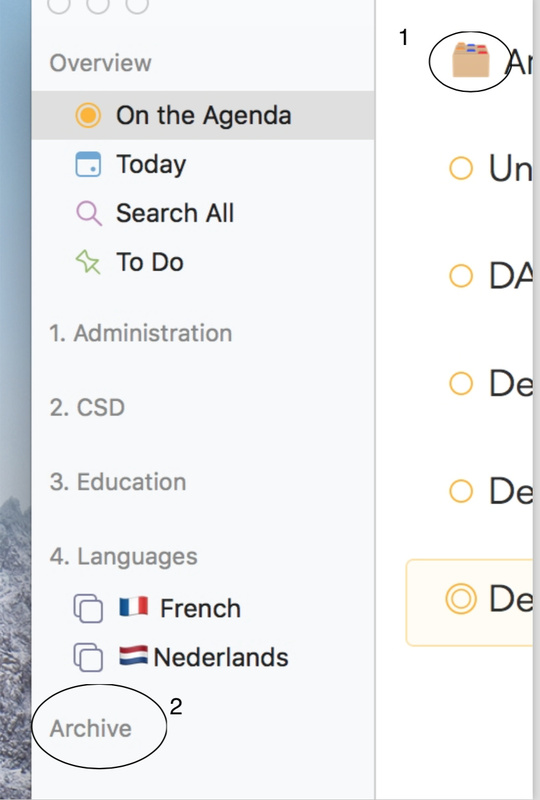 Additional icons could add to the flexibility of Agenda. And I hope that the icon status could be more visible like on Things. Thanks for the idea on Categories. 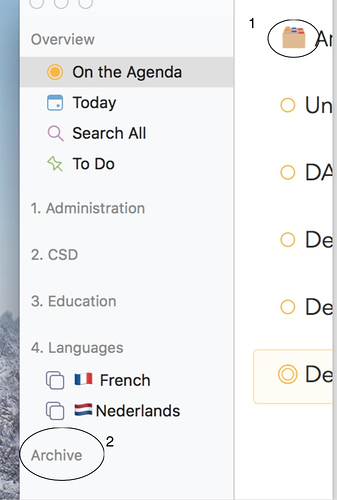 Visually, your categories look great. Just want to report a bug or something about emojis. But the Sidebar does not show it.